So often vampires and werewolves are pitted against each other in the battle of the genre beasties. However, more often then not, these terror titans work in tandem in fiction and media, creating a broader, richer tug and pull sharing in the horror medium. My 2008 Eternal Press novel The Vampire Family has a family of vampires that can shape shift and transform into wolves and scary weres- and scary werecats, too. 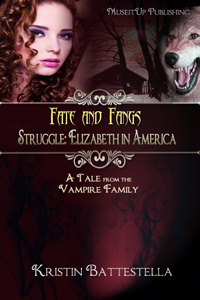 My follow up series Fate and Fangs: Tales from the Vampire Family serves up vampires who prefer their wolf shapes in Book 3 Struggle. While it is easy to have books and ebooks either have all the monster magic together or for readers to find literature specific to vampires and werewolves and all the mixes in the spectrum, films have also scored on the presumed animosity. The Underworld franchise tells of ancient vampire and werewolf wars- but fans of either creature can get their fill in these features. Likewise Twilight has made the Team Edward and Team Jacob themes top sellers. Vampires versus werewolves ideologies are good for business, simply put. Whether for or against, reluctantly working together or struggling to love or hate one or the other, in the end, vampires and werewolves are good for each other. Unfortunately, the current subdivision of the vampire genre is getting too divergent for its own good. The watered down, lovely dovey, youth and glitter love vampire movement spurred by the Twilight craze has helped the vampire literature and media culture just as much as it may have damaged the genre. Book, television, and movie markets are now flooded with vampire material- all in the same youth, teen romance driven trends. As knock off begat knock offs, the quality pool has dropped considerably. People are tired of vampires. They think horror has been played, and all the sudden the same editors, publishers, and powers that be are now turning on the massive overdrive they helped to create. Backlash is inevitable. So then, you see, the vampires versus werewolves theory is not what hurt your novel’s chances. Rarely does a publisher say, ‘we already have a werewolf book, so we can’t take your vampire story.’ In fact it is quite the opposite, editors often look for both together to balance out their catalogue and reader varieties. They might even prefer books or series dealing with both monsters so they can cross reference all their categories. How many times have you clicked on a publisher’s store links for both ‘vampire’ and ‘werewolves’ and seen the same books? Quite a bit I suspect. Now, have you ever seen separate links for ‘vampire horror’ and ‘vampire romance’? The breakdown between the vampire medium is almost nonexistent in appearance, even if those readers and writers and vampires lovers in the know immediately know there is a difference. How many times have you been in conversation with a fellow vampire lover and they say either ‘oh, that was too scary for me!’ or ‘This vamp was too lovey dovey for me.’ What’s sad is how many times has a reader passed on your book because they like one or the other and dismissed your book as being the wrong vampire type for them. What then, must a vampire author do to remain relevant in a subgenre at war with itself? Keep writing damn good copy! Whichever side of vamps your on- either pure horror or paranormal romance- keep it good. Keep your universe, characters, and tales true to what the manuscript needs to be its best. Don’t give in to the mislabeling and trends. Vampires rise and fall, go underground and subculture or rise up from the dead and reign supreme over media. Not too long ago, everyone wanted exclusively paranormal light and vampire romance, now call outs are returning to pure horror and uniqueness. Make your creatures of the night stand out from the pack. Keep them worthy of the hand in hand werewolf antagonism. Good competition is healthy in fiction, writing, selling books, and reader’s choice. Write crap copy and no creature wins! To read more about Kbatz’ vampires, read her contribution to The Great Vampire Dispute. For our Finale, we have the versatile vocal stylings of Versailles and her song “Queen Of The Sinister Freaks”. I wanted to save this one for last because it reminds me of our Hostess of Horror, Emz! You can find her homepage at VersaillesBand.net, and find her music in all the usual haunts, like iTunes, CDbaby, as well as on services like Spotify, YouTube, and Geezer. You can also find her on Facebook, Twitter, and MySpace. Singer Sarah Black and bassist Braxton Ballew make up this episode’s featured band, Valentine Wolfe, a Victorian Chamber metal duo. That’s right, I said “Victorian Chamber Metal”. Their last album used the phrase “Steampunk Macabre” — I like that, too. Braxton said, “We also perform Dark Ambient Soundscapes. Usually, if this is too vague, we tell people if they like Emilie Autumn and Nightwish, we like to think they will like us.” Furthermore, we’re playing their song “Annabel Lee” from their new album, Once Upon a Midnight, which is themed around Edgar Allan Poe. Be still my little goth heart. Listeners can find out more about Valentine Wolfe on their home page, ValentineWolfe.com, and listen to their wonderful music on Bandcamp, iTunes, Amazon, Google Play, last.fm, and YouTube. You can also stalk them on Facebook, but beware, they might just stalk you back. When she isn’t writing music for her solo projects, she also enjoys writing and recording soundtrack music for films. Horror Addicts can find Jenn’s music at jennvix.bandcamp.com, her back catalog on MySpace, as well as on Amazon, and iTunes. You can also follow her on Facebook. Episode 92 brings us music from Italian EBM trio Alkemic Generator and their dark, dance-inducing song, “Scream“. This song in particular puts me in the mind of Lacuna Coil, another Italian band as it happens. The other tracks from their new album, The Oniric Geometry, inspires similar comparison with their high energy electronic rock. I enjoyed the whole album, with “Illusion” being another standout favorite as it highlights the operatic voice of lead singer Sanja Aveic. It also has some quotes by Nikola Tesla. How can you not love that? Kinki told me that his favorite song of theirs is “Voices Of Devotion” because “in this song we have mixed some ethereal moments with powerful beats.” Sanja added, “I feel extreme power when I sing ‘Illusion’, since it carries a story so strong and particular as the man that created it was.” This, I believe, is in reference to Nikola Tesla. I normally ask band members if they have any advice, but they told me that since they are a new band, they are waiting for some advice. To them I say, please visit HorrorAddicts.net and read the other interviews and seek out the wisdom of those we’ve featured before. I have no doubt that this band has a bright future ahead of them. 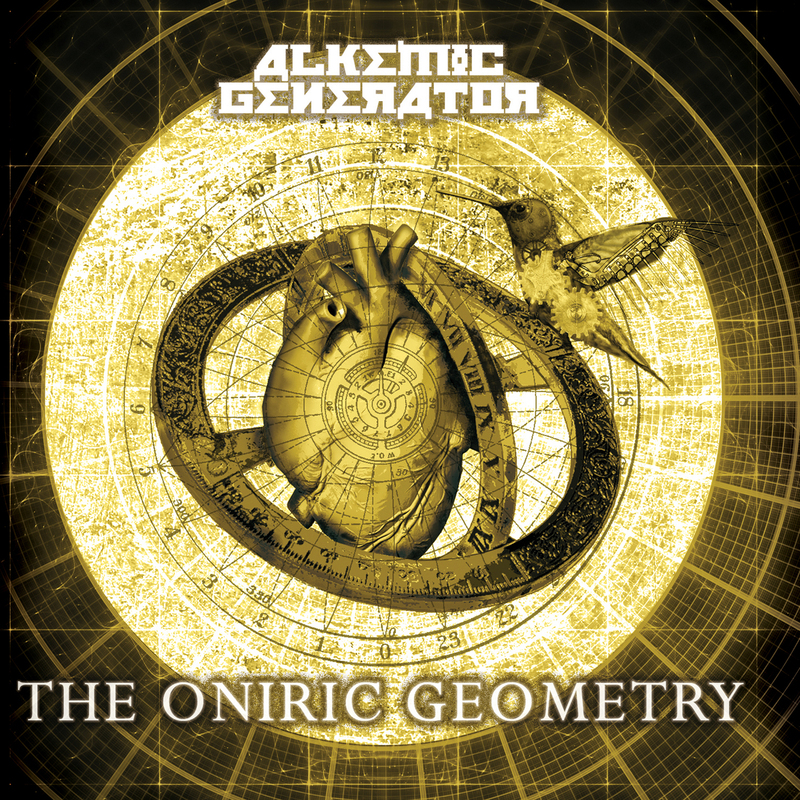 Follow Alkemic Generator online at SoundCloud, ReverbNation, Facebook, MySpace, and Twitter. Listen to their Bandcamp digital music downloads, as well as on Storenvy, iTunes, and Amazon. Unveil’s new album CODEX NOCTEM is available now for download from their Bandcamp page. CDs will be available at Musique Cité in Sherbrooke: the last independent music store in town, and also from CDBaby. You can follow the band on Facebook and MySpace. How would you describe your music? “That’s the hardest thing I find about being involved in music production and promotion – writing about your own work. I really appreciate the gift that some music journalists have of naturally being able to go on at length and in such descriptive language. For me, a song is a song. You either play it once and forget it, or you turn it up because it fills you up with something, it makes your existence that much better for that moment, or even the whole day. At least that’s my experience with my favorite songs. All of The Jesus Cleaver’s songs can be streamed in full, for free at any time at music.thejesuscleaver.com, and downloads of the albums and singles are also available in various formats. To find out more about John and his music, visit his official site at thejesuscleaver.com, as well as on Facebook and Twitter. To keep up-to-date, you can also subscribe to the band’s mailing list.